Across the globe citizens of all walks of life are protesting and rioting against governments that are now learning the lessons of not listening to their citizens. Imbalance of power, wealth and education is creating a wave of anti government sentiment and actions. In the U.S. the Unions and workers of many states are in a battle for their rights to have a good wage and decent retirement / Insurance coverage. 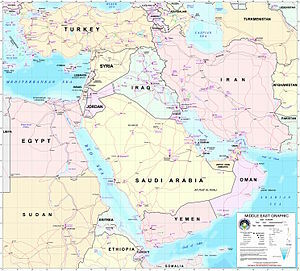 The citizens of the middle eastern countries and north Africa are fighting for basic human rights. All of this is due to the greed and the inability of governments to listen to the wants and needs of their citizens. I find it quite sad it takes such protests and riots to enact change in countries and governments of the modern world. Maybe some good will come out of all of this unrest and un needed killing in countries such as Libya. Maybe, just maybe other countries and their governments will learn to listen to the public and be more concerned about their needs and wants. Possibly they may even see the great gap in the wealth and health issues within their own borders and try and find a way to make it a bit more fair and balanced. No country is immune to the divide between the economic classes, some countries have a larger gap than others and this will eventually create either unrest or a economical downward spiral for those countries. The working class is the one that both helps create/provides goods and is the major consumer of such goods/services. Neglect that class and allow them to become impoverished both financially and in education then you will see a economical disaster in the making. Another lesson that the world may learn is that we really need to move away from the dependence on oil as our main source of fuel. The unrest in the middle east has already increased the cost of oil per barrel to over 100 U.S. dollars and has effected the stock markets across the globe. An oil based economy like what most of the world is connected to is not a very stable one due to the increase of demand and the dwindling oil supplies and reserves across the globe. To those in Libya, Egypt and the rest of the countries in the Middle East / North Africa I send my best wishes and my condolences for the lives lost in the revolutions/protests. Peace is the path seldom walked.